Landscape and Power is the title of my continuous project since 2007. It contains three topics: No place, Tracks, and Landscape and Lines. The three topics are fused into one project. The title comes from the book by art historian W. J. T. Mitchell, published in 2002 (rev. ed.). Mitchell has investigated landscape painting through history and explored how past and present artists express themselves through landscape. Landscape may be not only a noun, but also a verb. Thus, landscape may be an event or an act. Through landscape, the artist expresses herself so that the painting may represent a social or political issue brought up for discussion. Landscape as representation may create an experience within the viewer – not of a place, but of a feeling. An experience of loneliness, silence, calm, noise, sound, events, discomfort, happiness and so on. 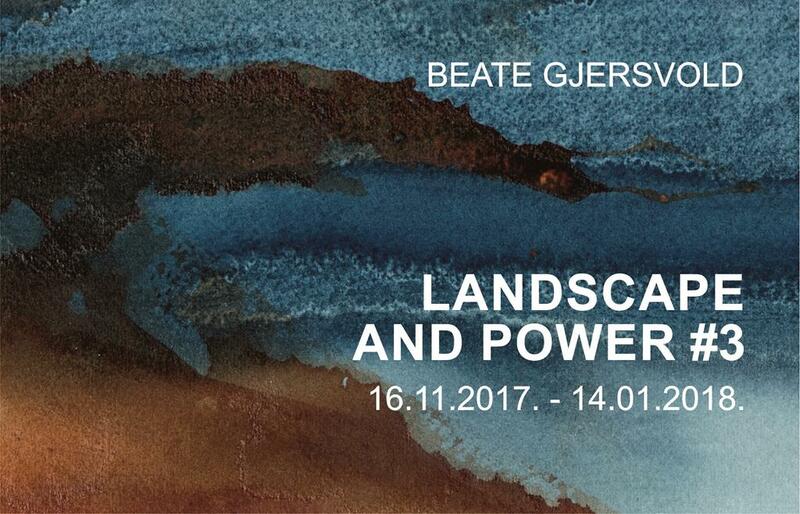 Landscape and Power #3 is the title of my solo exhibition at Daugavpils Mark Rothko Art Centre. By means of landscape, I want to convey something that goes beyond landscape as a place. My paintings are never representations of real places. They are never created in plein air, and I never reproduce what I am seeing. I am inspired by forms, colours and objects in nature. By means of landscape, I try to provoke a mood, a feeling, an atmosphere or an event, or give a hint. In my exhibition, I also contemplate the topic of Tracks. It deals with the beauty of objects on their way back to nature. I explore this subject in art installations, photo art (macro) and paintings. Everything is perishable, and there is something beautiful about it. Within the topic Landscape and Lines, I notice everything that creates lines in a landscape – the stripes left by planes in the sky, the pattern of power lines against the sky, poles, trees and branches, architecture, the horizon, silhouettes and formations. I capture lines in my paintings. And in my photos. I create compositions by lines. Elements from all these topics are present in my exhibition Landscape and Power #3.